Citrus Sukhumvit 13 Bangkok is located along Sukhumvit Road. It offers a restaurant, rooftop swimming pool and rooms with a flat-screen cable TV. Free Wi-Fi and parking are provided. 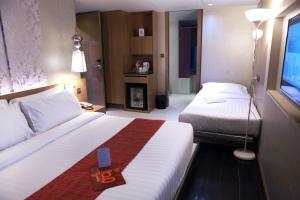 The modern rooms at Sukhumvit Citrus 13 Bangkok come with elegant décor and large windows. 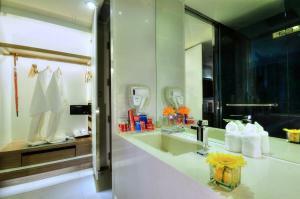 Each classy room is well-equipped with a safety deposit box and minibar. Bathrobes and slippers are also provided. The hotel offers airport shuttle and concierge services that see to guests’ requests. For convenience, laundry services are available. At Citrus Café, guests can enjoy a selection of local and international dishes. In-room dining options are also offered. Bangkok Citrus Sukhumvit 13 is a 5-minute walk from Nana BTS Station and a 45-minute drive from Suvarnabhumi International Airport. Guests are required to present a photo identification and the same credit card used to guarantee the booking when checking in at the hotel. The name of the credit card holder must be the same as the guest's name. If the guest fails to provide the credit card, the hotel shall have the right to request for an alternative payment method. Please inform Citrus Sukhumvit 13 Nana Bangkok by Compass Hospitality in advance of your expected arrival time. You can use the Special Requests box when booking, or contact the property directly with the contact details provided in your confirmation. Guests are required to show a photo identification and credit card upon check-in. Please note that all Special Requests are subject to availability and additional charges may apply. Room features a flat-screen cable TV and a safety deposit box. It has a minibar and a seating area. 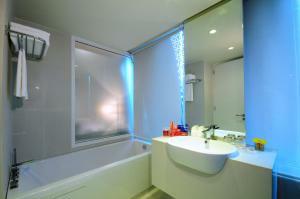 An en suite bathroom comes with a rain shower. Please note that this room type has no capacity to accommodate extra beds. Spacious room features views of the city. It comes with a 40-inch flat-screen cable TV and a safety deposit box. It has a minibar and a seating area. 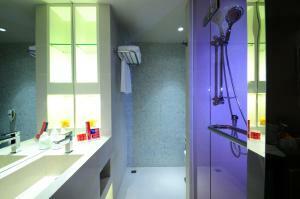 An en suite bathroom comes with a rain shower. Guests enjoy a free minibar (excluding alcohol). This twin/double room has a minibar, bathrobe and cable TV. 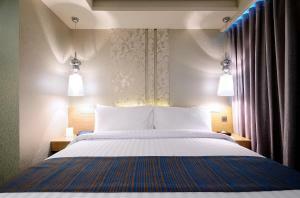 Rate: THB 1619.10 ... THB 3199.00; select dates below to get current rates.